"Please Viber / Whatsapp or SMS us @ 0917 114 8917 for orders. 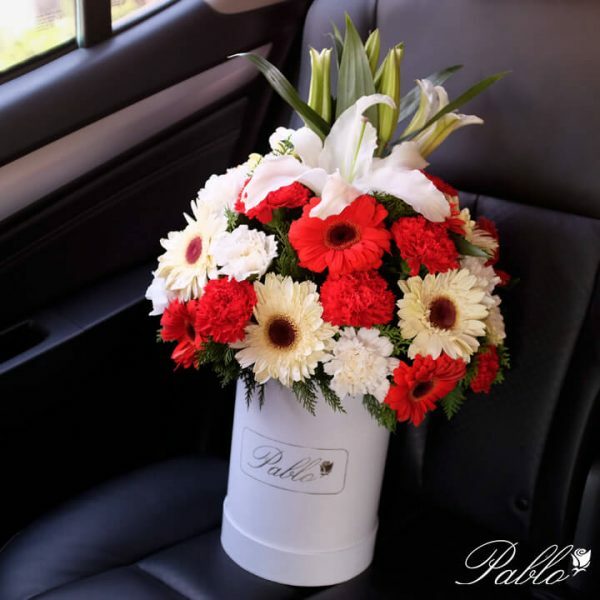 Or you may call directly at our landline (02) 857 0782"
Round arrangement of casablanca, white and red mix of carnations and gerberas in our signature white bucket. Please order at least 1 day ahead for availability. If you need to request delivery sooner, kindly contact us thru SMS / Viber / WhatsApp: +63917 1148917.